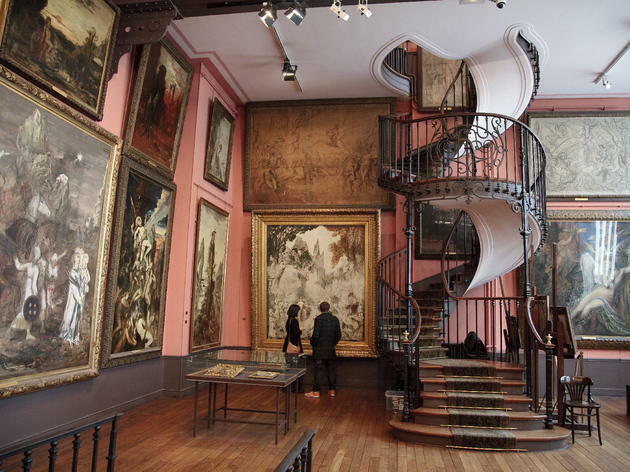 This wonderful museum combines the small private apartment of Symbolist painter Gustave Moreau (1826-98) with the vast gallery he built to display his work - set out as a museum by the painter himself, and opened in 1903. Downstairs shows his obsessive collector's nature with family portraits, Grand Tour souvenirs and a boudoir devoted to the object of his unrequited love, Alexandrine Dureux. 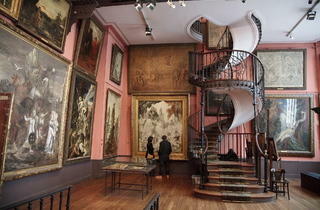 Upstairs is Moreau's fantasy realm, which plunders Greek mythology and biblical scenes for canvases filled with writhing maidens, trance-like visages, mystical beasts and strange plants. Don't miss the trippy masterpiece Jupiter et Sémélé on the second floor. Printed on boards that you can carry around the museum are the artist's lengthy, rhetorical and mad commentaries.